Imagine this scenario: you walk into a retail store and spend half an hour browsing the shelves. After finally choosing a couple of items, you make your way to the sales counter — only to suffer through a clunky, time-consuming checkout experience thanks to an ancient point of sale system. You walk out with your purchase, and you’re happy with the items. But you’re not so happy with how things went at the end, so you’ll think twice before returning to that particular store — especially when there are similar retailers who’ve gone to the trouble and effort to implement smooth checkout experiences. In our modern time, it’s more important than ever to keep these kinds of frictionless experiences top of mind. Fail to do so, and you’ll only cost yourself customers and money. To make things a little easier, we’ve put together a list of five tips you can use if your checkout experience needs an upgrade. Learn what they are below. Make it easy to open up new registers when the lines get too long. As a shopper, there’s nothing more annoying than waiting in a long line of patrons for a single sales associate at a single open register. Consider, though, that old-fashioned point of sale systems and cash registers can only get you so far, no matter how many you open at once. The way to really take this tip to the next level? Use iPads as your POS. That’s how Vend homeware retailer the Borough Kitchen combats long lines in-store. “At peak times…we can add a new till instantly by switching on another iPad. That just wouldn’t work with a traditional till system,” say founders David Caldana and Justin Kowbel. Untether the checkout experience so you can ring up sales from anywhere. 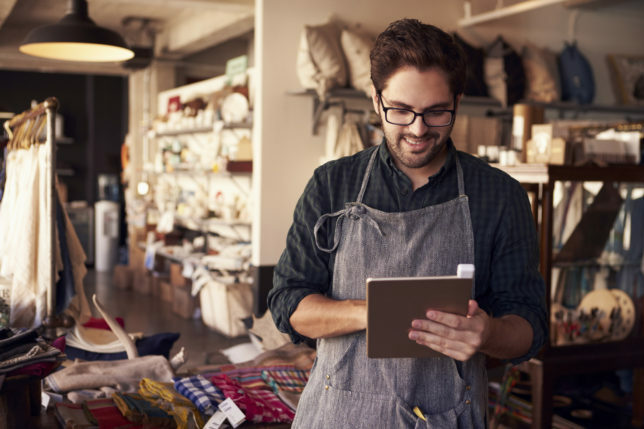 Switching to a cloud-based point of sale system allows you to run your business from your computer or mobile device — meaning you can get out from behind that counter and bring the checkout to your customers, wherever they happen to be. Have a look at what Medisave, an internet-based medical supplies company, did at an industry trade show they attended. Medisave sold stethoscopes at their booth, but to save space and time, they deployed “walking POS people” armed with iPads, lanyard scanners, and printer belts. This kept the hectic crowds moving so people could get back to their conference agenda as quickly as possible. After you’ve opened up new registers and unchained yourself from that counter, it’s time to consider how you can improve the checkout experience from a payments point of view. The first way to do it? Use a payment processor that integrates with your current point of sale system (or the one you’re planning on switching to). When you use integrated payments, sales flow directly from your POS system to your card reader — meaning checkout is both faster and more secure. These two attributes are huge boons to your customers, and they can even help you build a base of loyal, repeat shoppers. Integration also eliminates manual keying-in and allows you to access your store data and accept payments all in one place, centralizing your operations and minimizing efficiencies that can cost you money. In other words, integrated payments are good for both you and your shoppers. Consider how Australian retailer New Farm Confectionery use Vend and PayPal, for instance. Founder Jodie Neilson operates a retail location and a pop-up, using the Vend-PayPal integration to keep sales fast, simple, and mobile. 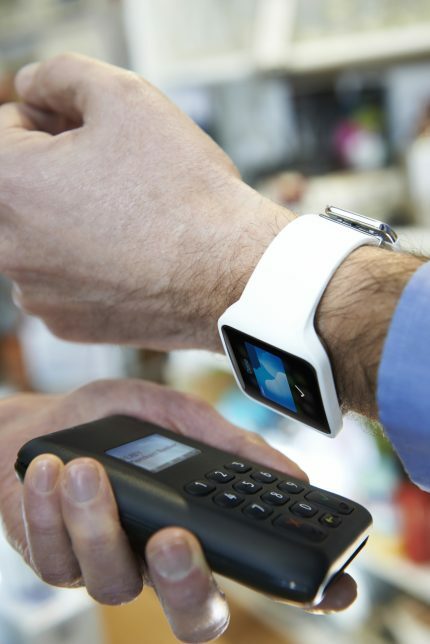 Enable mobile and contactless payments. At a time when there are nearly 450 million mobile payment users around the world, taking mobile and contactless payments in your store(s) should be a no-brainer. Whether it’s adopting a mobile POS system like Vend, developing your own mobile payment app, or using third-party options like Apple Pay, mobile and contactless payments will speed up the checkout process and improve your customers’ experiences. Let’s look at how fashion retailer Kohl’s has implemented mobile payments in its stores. Kohl’s combined its custom loyalty program with its membership card to create Kohl’s Pay — a quick checkout system that uses the shopper’s mobile app to store his or her Kohl’s Card, coupons, and loyalty points. When a customer is ready to pay, he heads to the checkout counter, where the sales associate rings up his items and presents him with a scannable barcode. The customer scans the barcode through Kohl’s Pay, which automatically charges his Kohl’s Card and applies those loyalty points and coupons to the purchase. It’s quick, painless, and — most importantly — easy for the customer! In-app payments let shoppers completely bypass checkout lines, freeing up the members of your team to focus their efforts on answering customer queries and generally enhancing the customer experience. Check out what Sam’s Club is doing. Using the Scan & Go app, Sam’s Club customers scan barcodes as they shop. The app puts everything into a virtual cart, and customers then pay from their phones. They exit by showing the e-receipt to the employee at the door. 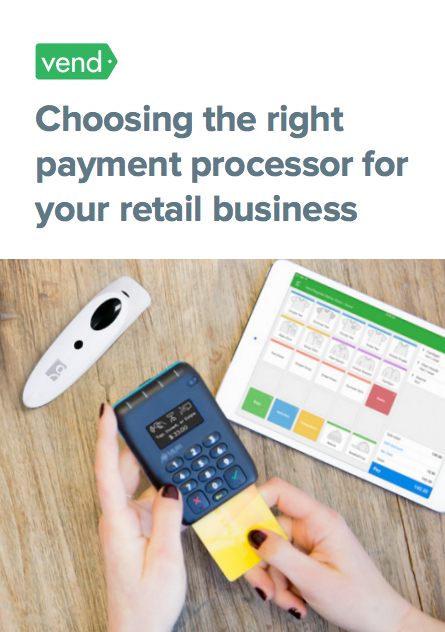 Want to learn more about choosing the right payment processor for your unique business? Click here to download our newly released Payments Guide for free! The post 5 Ways to Improve the Retail Checkout Experience appeared first on Vend Retail Blog.